Environmentally conscious architecture has become overwhelmingly popular today in response to the growing concern over depletion of non-renewable sources of energy, global warming and more. 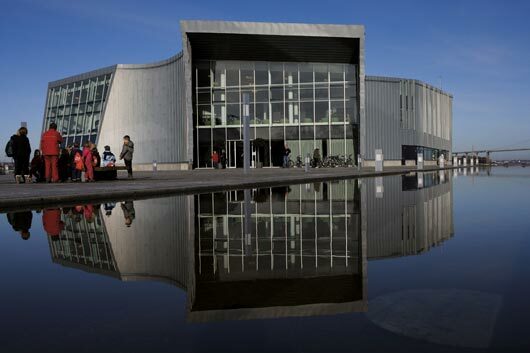 A large number of buildings have started making use of sustainable materials to make them more energy efficient. But, there are a few green buildings in this world that steal the show. Some of the best green buildings have been picked up for you to get inspired from. Buildings that make efficient use of sustainable structures and natural resources such as wind, water and soil are considered to be green. The basic difference between the conventional buildings and the green buildings is the use of volatile organic compounds and crude elements, which have a negative impact on the human health as well as the environment. Green buildings are more energy efficient. They make good use of the naturally available daylight, ventilation, water and air. Some of the components that improve the energy-efficiency of the building are LED lighting, star rated motors, pumps, recyclable materials and many more such components. The aim of these green buildings is to reduce waste, pollution and environmental degradation and have a positive impact on human health. The increasing concern over the pollution of the environment and the rapidly depleting sources of non-renewable sources of energy have urged architects and builders to reduce the carbon footprint of these buildings. From convention centers, colleges, entertainment cells, apartments, commercial complexes, temples, coffee shops to the railway station the concept of green building is being used everywhere. Below, you would see some of the best buildings in this world that are not just green but highly energy efficient, innovative, intelligent and beautiful. All of these buildings have made excellent use of the naturally available resources reducing their carbon footprint as far as possible. 1. 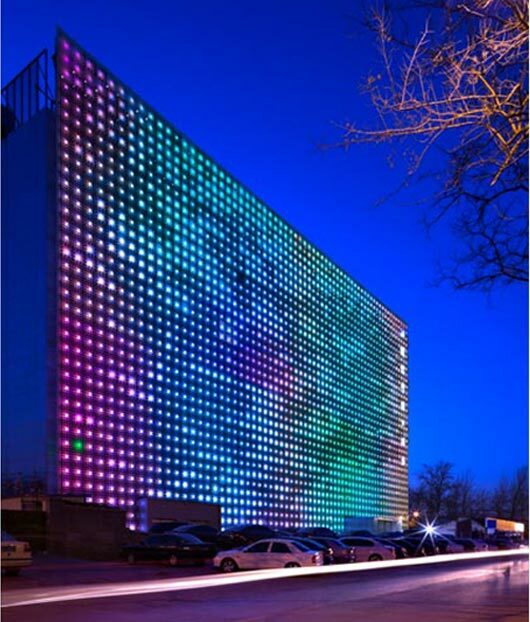 GreenPix Zero Energy Media Wall - Designed by New York based architecture and media firm, Simone Giostra & Partners, GreenPix is the largest color LED display. Sprawled over an area of 20,000 square feet, it is visible even from a distance of a kilometer. The building is also the first to be equipped with a photo-voltaic system integrated into the glass curtain wall, which makes it possible for the building to harvest solar energy stored. The energy is stored during the day and at night it is used to illuminate the screen after dark. The wall would be used to display Olympic events, weather forecasts, video gaming, video-art installations and more. GreenPix, located in the city Beijing, China is truly an innovative green building. 2. 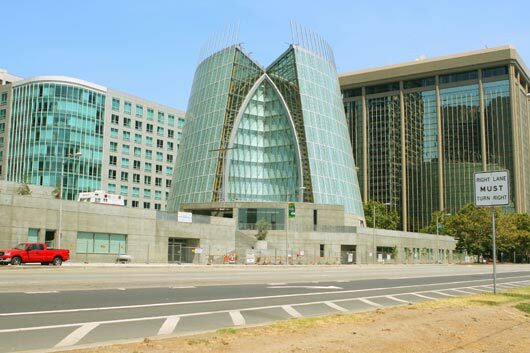 Cathedral of Christ the Light - This place of worship is no far behind in the run for a eco-friendly building. The cathedral situated in Oakland, California makes excellent use of the natural light, material and resources to construct the most inspiring green architecture. It also uses glass and fly ash concrete as the building materials for the cathedral along with FSC-certified wood. FSC certification ensures that the forestry is practiced in a responsible way towards the environment. These elements make it an ideal place to pacify your soul. The beautiful cathedral has been designed by the well known construction company, Skidmore, Owings & Merrill (SOM). 3. California Academy of Sciences - This incredibly energy efficient building is the world’s first at quite a number of things. 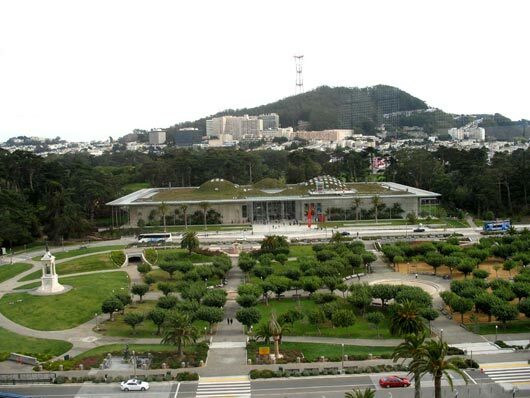 From being awarded with the platinum rating (the highest for Leadership in Energy and Environment Design or LEED) to being the greenest museum in the world, the California Academy of Sciences is the ideal green architecture. All this is due to its strong commitment to provide sustainable facilities to each of its facets such as the bike racks, rechargeable vehicle stations, green rooftop, use of photovoltaic cells for energy generation and more. The 2.5 acre of land is home to aquarium, natural history museum, a living rainforest, planetarium and research facilities. 4. Revolving Door at the Driebergen – Zeist Railway Station - The Revolving Door installed at the refurbished railway station in The Netherlands plays a very important role in the sustainability of the building. The revolving door designed by Boon Edam is no ordinary door as it helps generate and conserve energy when someone passes through it. It’s estimated that the door is capable of saving about 4600 kWh (kilo-watt-hour) of energy. 5. Wat Pa Maha Chedio Kaew Temple - It’s hard to believe that this surprisingly beautiful temple is built of recycled bottles. More than 1.5 million old glass bottles have been used to construct each and every element of the temple. Bottle caps have also been used as decorative pieces. Apart from being built from a sustainable material, the use of glass also allows enough natural light into the temple. 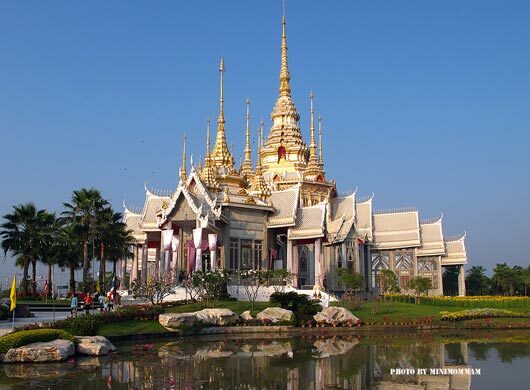 The Wat Pa Maha Kaew Temple built in Thailand is an excellent architectural example of green building. 6. 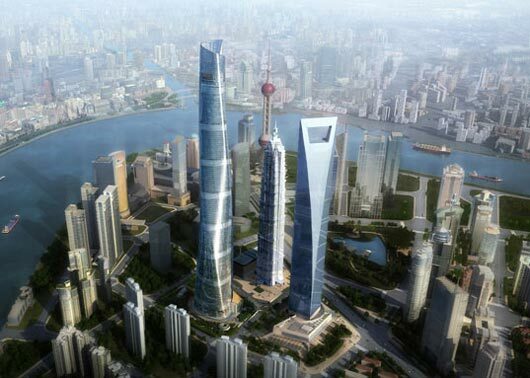 Shanghai Tower - The twisting skyscraper due to be opened in the year 2014 is another energy-efficient building that not only looks mesmerizing but is also eco-friendly. The use of rainwater recovery and gray water recycling systems cut down the water use of the building by a minimum of 40%. The skyscraper also facilitates black water treatment and wind energy harvesting for water and electricity. Giant ice machines would help in the cooling and heating of the entire building. There are many more steps and measures in the building to make it all the more energy-efficient. 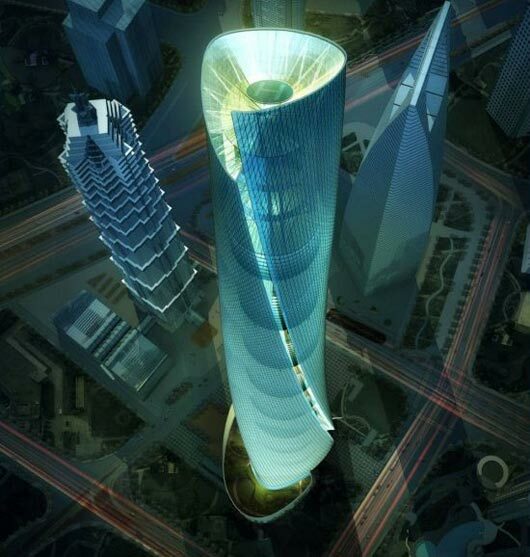 Designed by leading architecture design firm, Gensler the 632 m tall asymmetrical Sanghai Tower is a true green building in all sense. 7. Village Underground - In the heart of the East London lies a non-profit space for creativity made out of recycled trains, shipping containers, reclaimed sleepers, staircases, furniture and every other thing you can think of recycling. The center also makes use of solar panels and wind turbines to generate electricity for the office equipments, live concerts, theater and other performances. The creatively designed venue is home to more than 50 artists, writers, designers, filmmakers, musicians and more. 8. 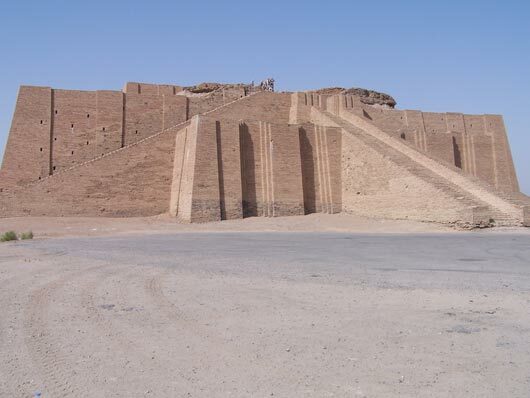 Ziggurat - Shaped like a pyramid, Ziggurat is a green building situated in Dubai. One of the leading environmental design companies in Dubai, Timelinks is in charge of the construction. The pyramid shaped architecture will be house to about one million people and would make use of steam power, wind turbine technology to harvest natural resources. Timelinks is also planning to utilize the nearby green spaces for farming. The highly innovative city plan would make it one of a kind of green project in the world. 9. Free Spirit Spheres - Handcrafted from fiberglass and shaped in the form of spheres the accommodation lies suspended in the air hung from the treetops. It can be lighted up or heated using the electrical system. 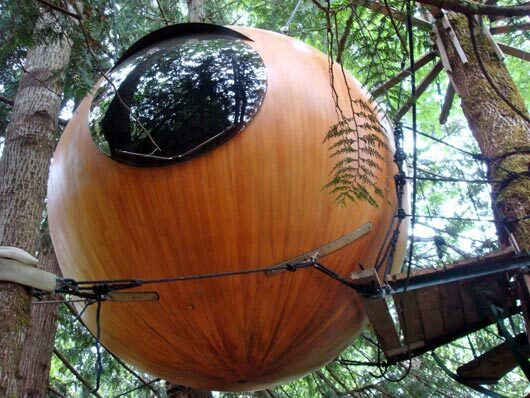 The spherical architectures in the lap of nature provide a unique way of experiencing the coastal rain forests of North-West Canada. It has been designed by Tom Chudleigh, an architect from Canada. 10. 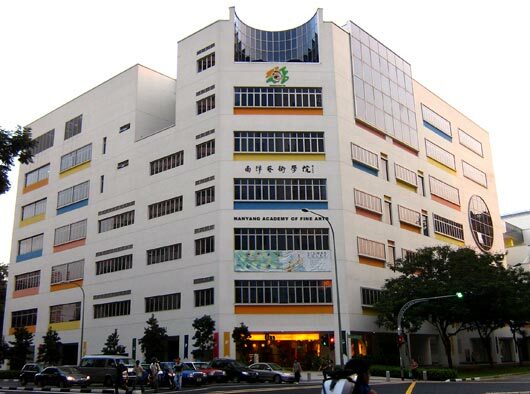 Nanyang Academy of Fine Arts - Studying in this green artistic building would be a joy to any student. The architecture makes excellent use of the glass for natural lighting and green vegetation to blend in with the surrounding. It also has an interestingly built roof that provides open space, insulates the building, cools the air, and helps in rainwater harvesting. The Nanyang Academy of Fine Arts in Singapore is an excellent place to study art and be inspired by the architecture itself. There are many more green buildings that make good use of the available resources. As time goes by, the conventional buildings would be completely replaced by the green buildings giving us a fresher and better environment to live in. About the author: Alia Haley is a blogger who is passionate about eco friendly lifestyle. Her home is quite eco friendly right from exteriors to interiors, including appliances and furniture. She is a firm supporter of Sustainable Architecture to promote green living. Many people dream about living in green buildings. Thank you for the list.